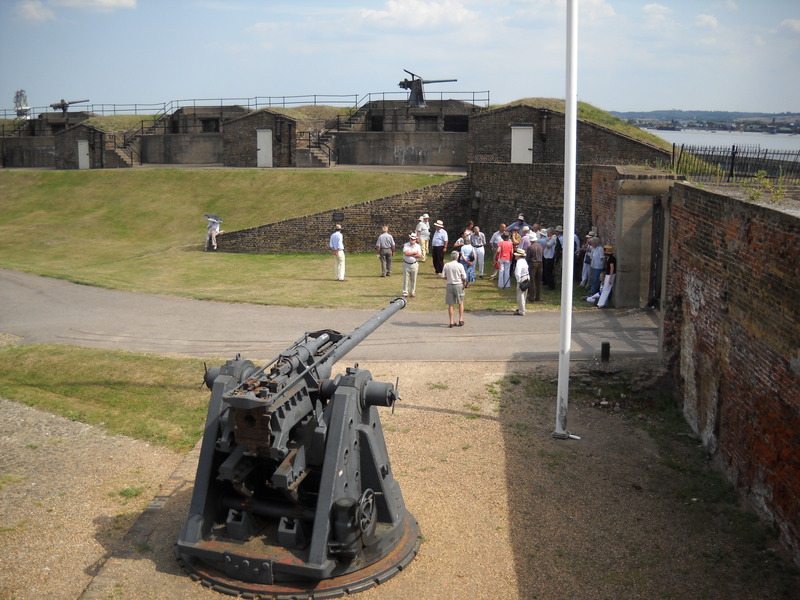 After the Battle of Culloden a number of Scottish prisoners were taken and held at Tilbury Fort down on the Thames. A local man told me recently it must have been handy having the Worlds’ End pub nearby for the odd libation to relieve the tedium of imprisonment in a strange land. 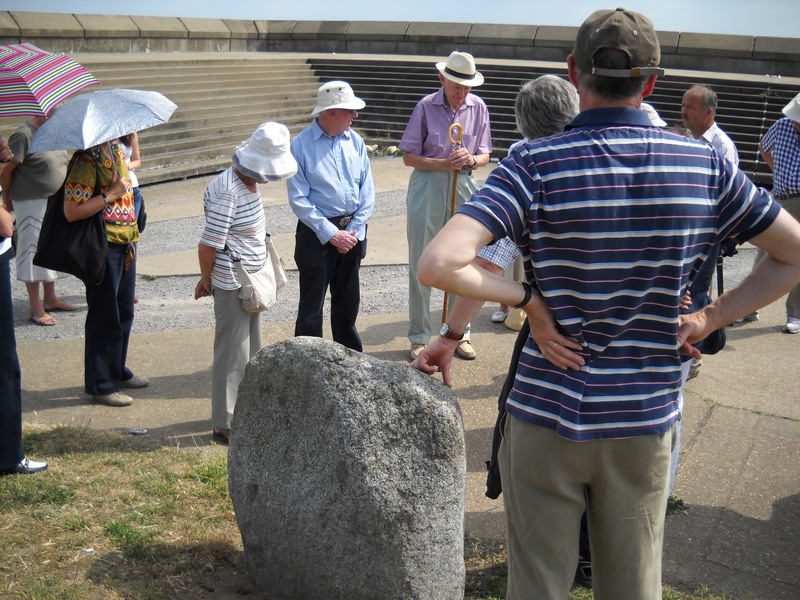 Another elderly gentleman pointed out that it was a bit risky keeping prisoners so close to the Tilbury Ferry whereby they could so easily make their escape. 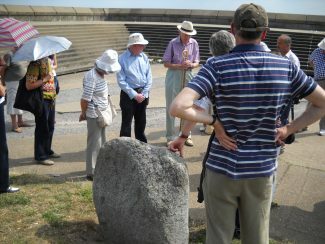 The photos included with this article show Sir Alastair Stewart and his party viewing the fort and the stone monument erected to commemorate this event.